Bought the slot belonging to Nitel Vasco Gama which was being disbanded by the management. In 2007, they were fined $10,000 following the three deaths that occurred after a home game with Eyimba FC of Aba. In 2008, they were relegated back to the NNL. 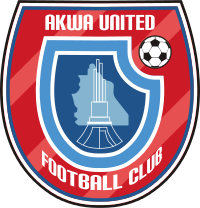 In 2015 they won their first major trophy by defeating Lobi stars of Makurdi to clinch the FA cup. In 2016 they played in the CAF confederation cup by were eliminated in the first round.